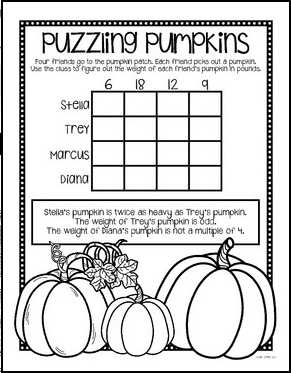 These 3 challenging Halloween-themed math puzzlers are sure to be a hit with your students! Students will need to think flexibly about numbers and their relationships in order to solve these logic problems. Answer keys are included as well! 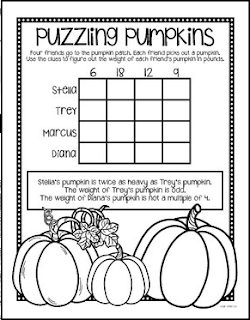 I hope you enjoy using these free puzzles in your classroom! Happy Halloween! Make sure to check out my other BRAIN BUSTERS!